Prince George will wear a replica of a 172-year-old gown for his christening day on October 23. For 167 years, Britain’s royal babies wore a one-of-a-kind, custom-made, hand-me down Christening gown. Ever since Queen Victoria’s eldest daughter, over 30 newborns including Prince William, Prince Charles and the Queen, have all worn the same Honiton lace and white satin gown to mark their entrance into the Church of England. Prince George, however, will wear a new form of the family heirloom to celebrate this historic and religious rite of passage. Following the baptism of Lady Louise Windsor in 2004, it was decided the ancient garment was too delicate to be used again. As a result, the Queen commissioned an exact replica of the 1841 christening gown to replace the original robe. In keeping with tradition, Prince William and Kate Middleton are also expected to serve the first tier of the wedding cake at the ceremony for their son. Usually just one official photo of the royal baby is released in keeping with the private nature of the royal christening. It is expected that a single photograph of George in his robe will be released after the event. Designed by the Queen’s senior dresser Angela Kelly, and her creative team at Buckingham Palace, the replica retains the same features of the original, including the lengthy skirt and elaborate collar and bow. 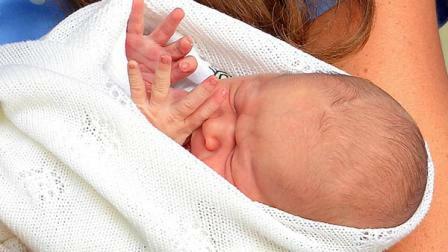 Prince George, who was born on July 22 at St Mary’s Hospital in London, is third in line to the throne.